Thank you all on the excellent feedback on v2. We’ve been ironing out the kinks and are now starting to add new features. 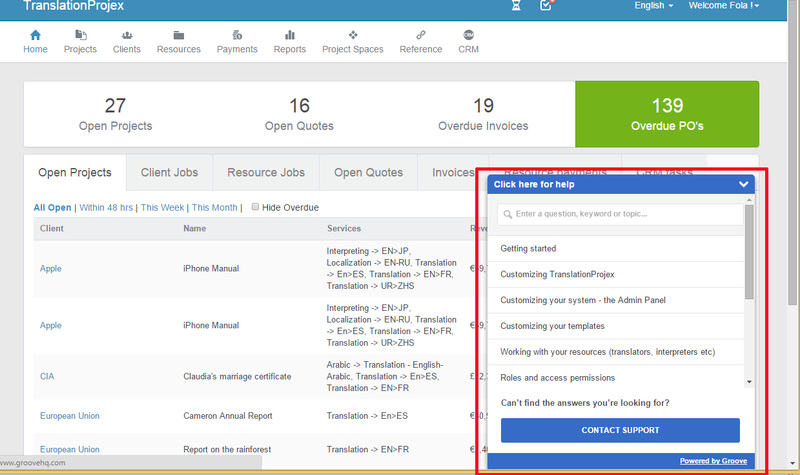 We’ve now set up our new support site which you can here –support.translationprojex.com. Out-of-the-box your system is set up to send emails through our 3rd party mail servers. When you click send your emails are queued and delivered as soon as possible. If you want to keep a record of what was sent and/or use your own email gateway choose the “custom settings” option. Restructuring of reports and better reports!